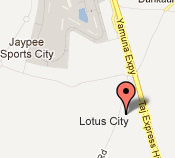 When you have an address like Lotus City, you know you are privileged. And the reasons are aplenty - two Expressways offering seamless connectivity, a formula one track hosting the planet’s greatest motorsport spectacle just across the street, the adventures of night safari round the corner, an international airport to bring you closer to the world, a renowned university to introduce you to the world of unlimited wisdom just about a mile! Adorning the Yamuna Expressway, Lotus City is also close to the DND flyway, knitted to the National Capital by a few short miles. With all the luxuries of life in close proximity, Lotus City offers a lot more than you could ever imagine.